Clinical services at the Counseling Center are free for UNI students who are enrolled and have paid the Mandatory Health Fee. Any enrolled student can come to the Counseling Center for an initial assessment or a consultation, and clinical recommendations will be provided. Counseling begins with an Initial Assessment. To schedule an Initial Assessment appointment, please call the Counseling Center at (319) 273-2676. For urgent situations outside of office hours, call the Counseling Center at (319) 273-2676 and press 2 to speak to a crisis counselor. 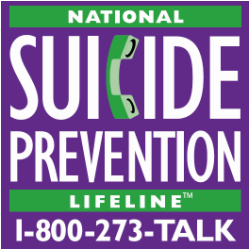 *The Foundation 2 Crisis Line is Certified by the American Association of Suicidology. Information shared by you in counseling sessions is confidential and is protected to the full extent of the law. Information will not be disclosed to anyone outside the Center without your written permission except when, in the judgment of your counselor, such disclosure is necessary to protect you or someone else from imminent danger or when otherwise required by law. We are unable to provide counseling or psychological advice by e-mail, but we encourage you to call the Counseling Center at (319)273-2676 if you wish to arrange to speak with a Counselor. The Counseling Center staff consists of psychologists, mental health counselors, counseling and social work interns, practicum counselors, and support staff. It is the mission of the University of Northern Iowa Counseling Center to promote the personal development and psychological well-being of all students and to encourage a college environment that is conducive to growth and learning. We strive to provide ethical, high quality psychological and counseling services to UNI students and consultation services to UNI faculty and staff. In case of immediate danger: Call 911 or go to the nearest hospital emergency room. For urgent situations outside of office hours: Call the Counseling Center at (319) 273-2676 and press 2 to speak to a crisis counselor. The Counseling Center is accredited by the International Association of Counseling Services (IACS).